Good Lord! The Machinery Does Work! 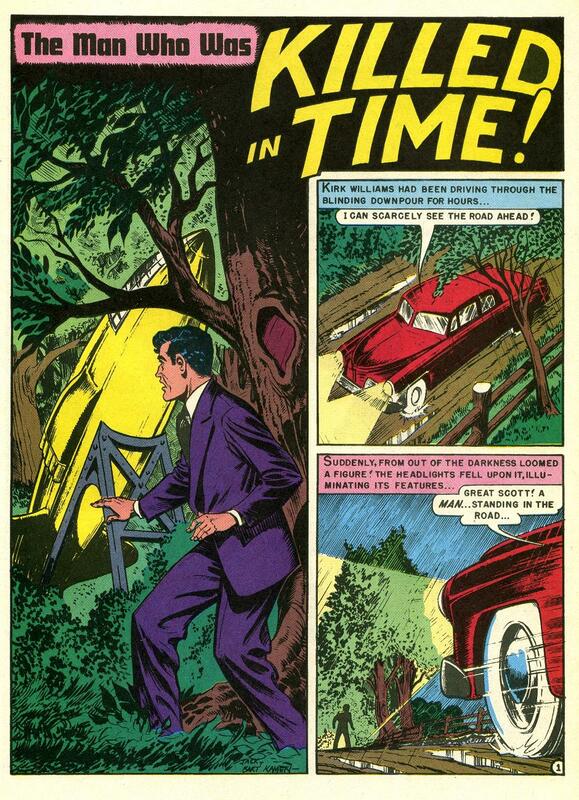 Feast your eyes on this complete EC Comics tale of time-travel woes: The Man Who Was Killed in Time! – From Weird Science #5, Gemstone reprints of EC Comics. Have you seen our complete EC Comics Gallery lately? Enjoy! Gotta have your own EC Comics? Shop the Weird Science Hardcover edition, and other Weird Science reprints available. Where can you find EC Comics these days? Right here at Mars Will Send No More! We’ve got original EC Comics for the independently wealthy and some really solid EC Comics reprints by Russ Cochran/Gemstone for the rest of us working stiffs! Enjoy!